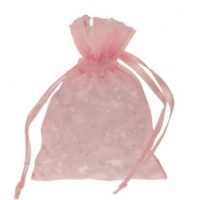 1kg pack of English Rose fragrance bath bomb hearts weighing around 10-12g each (approx 90-100 bombs per kg). These bombs are very robust and hold their fragrance extremely well. Ideal for wedding favours and baby shower favours, or just a little luxury gift. Ingredients: Sodium Bicarbonate, Citric Acid, Parfum, Aqua, CI 18050, Citronellol, Geraniol, Linalool.